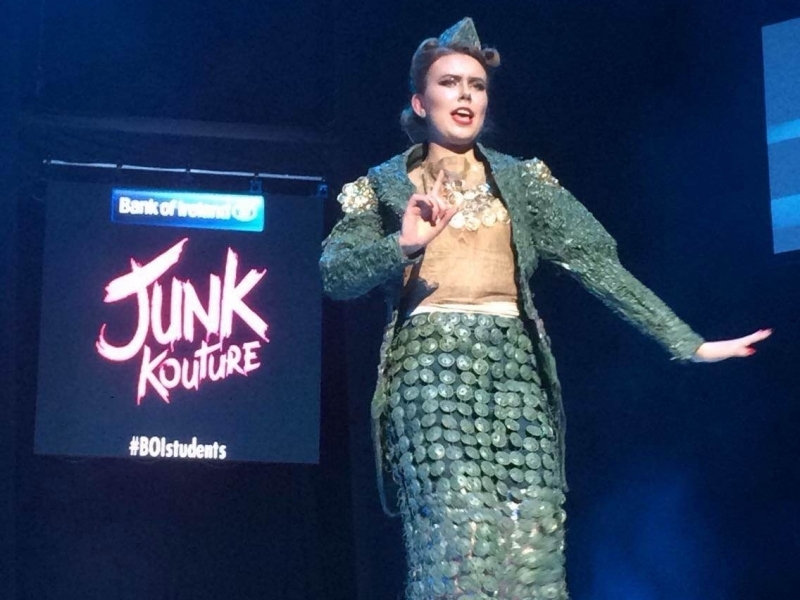 Congratulations to four of our TY students who made it through to the Grand Final of Junk Kouture which took place in the 3Arena on April 14th. After performing in the Helix, the girls were selected from the 1000 applicants nationwide to make it into the final 80. 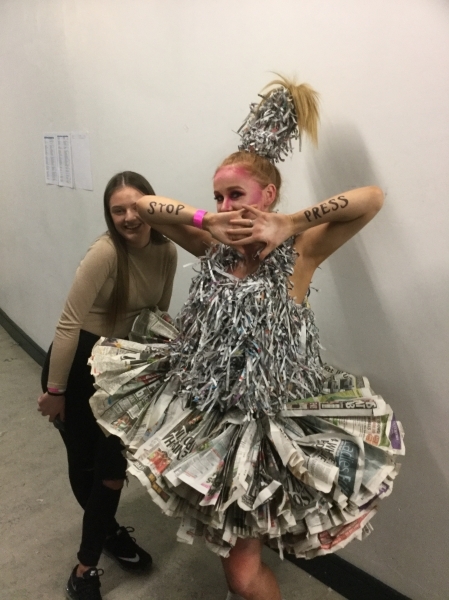 Caoimhe Hunt and Niamh Rowe with their piece 'Shrapnel' along with Kalya Lockhart and Rebecca Ward's entry of 'Stop Press' made the cut and the girls did us proud on their big night! 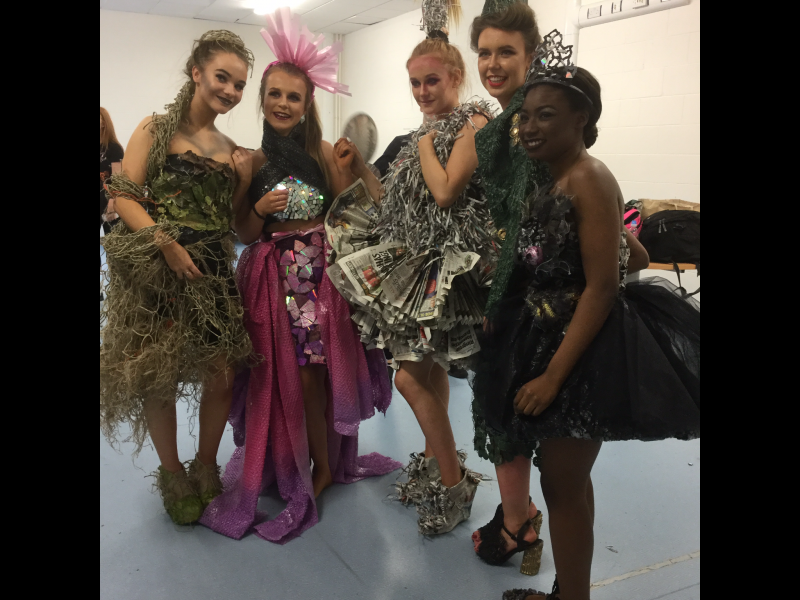 Also a huge well done to all of our TY Junk Kouture class who put in amazing work when entering the Junk Kouture competition. 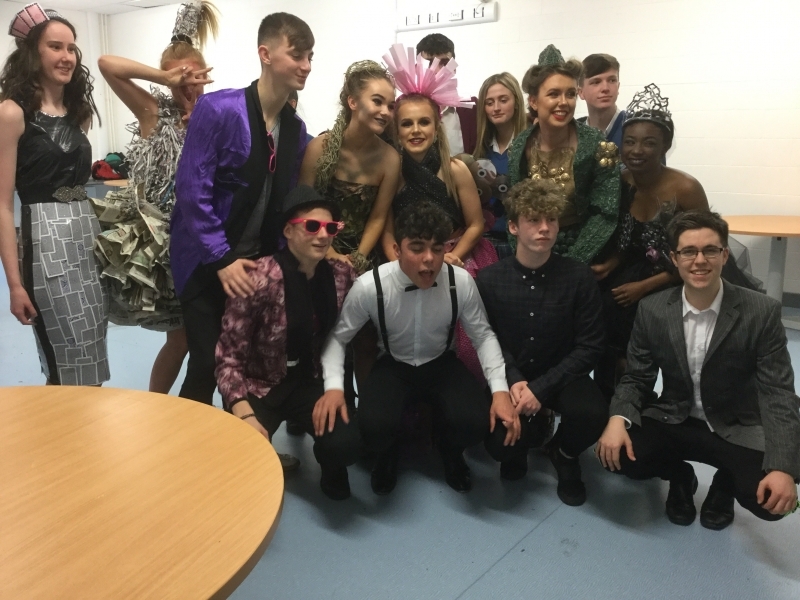 The class put on their own fashion show in the school to show off their great pieces and performed along with the TY dance group. Congrats to all involved - it has all been a great success.